Interior design in the 21 st century continues to push the boundaries of color – or the lack of it. Many designers and architects have adopted darker shades – deep blues and shades of black – to carry out a neat and minimal finish to the space. Finding the right flooring to match this strong color is a common challenge that can be solved with the flexibility of Terrazzo flooring. One fantastic feature of Terrazzo is its capacity to make the color black retain its original state, while adding glamour, style and sparkle to it. Two complementing accents that can further enhance the state of black is cement and wood. A very modern take on kitchen island top would be to have a plain cement finish to it with stainless sink, faucet, and other food preparation fixtures. Match this with a black and gold Terrazzo flooring to counter the simple and industrial design of the cement counter top. This brings a fantastic contrast of elegance and rugged feel to a space that is central to communal conversations in any household. Wood Is more commonly integrated with the outdoor portions of a home or a building. Putting wood in the bathroom is not normally recommended due to the normal wear and tear of this material. Exposure of wood to water alters its texture, strength, color, and composition, that it becomes almost always a risk which brings about short-term maintenance mishaps. But choosing the right wood for the powder room counter and other bathroom fixtures such as shelves and storage components adds to the unique ambiance of a bathroom. Pairing wood with Terrazzo flooring or terrazzo dividers in the bathroom can bring a sturdy and exquisite feel to the space. One can explore painting a panel of the wall black to emphasize depth. With warm lighting over wood and the black wall, the terrazzo flooring amplifies the calming vibes of the space. There are other ways to mix black elements with cement and wood. The best part is that Terrazzo can meet your design requirements given the limitless color combinations you can do with it. 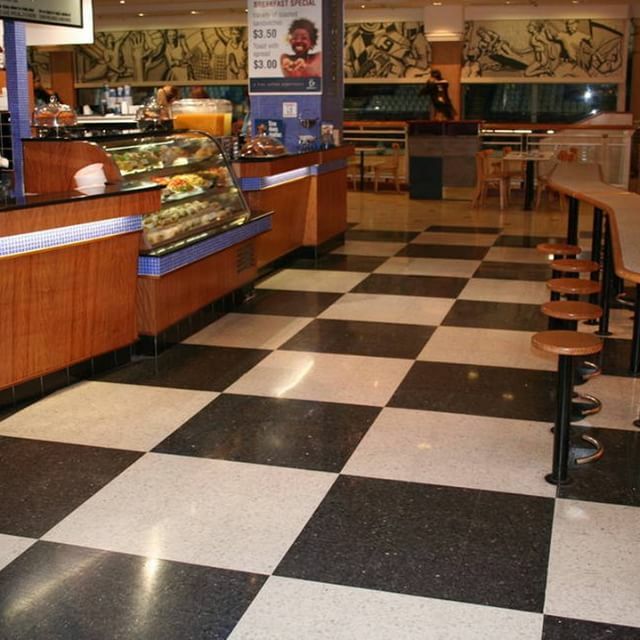 Talk to Terrazzo Australian Marble today to get advice on your space.